1. Customer install package for M'09 Dell Mobile Broadband Card Utility version supporting Dell Wireless 5720-Verizon Mobile Broadband (CDMA EVDO REV-A) Minicard. 2. 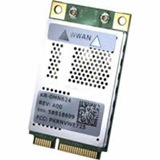 Customer install package for Dell Mobile Broadband Card Utility version supporting Dell Wireless 5720-Sprint Mobile Broadband (CDMA EVDO REV-A) Minicard. 3. Customer install package for Dell Mobile Broadband Card Utility version supporting Dell Wireless 5720-TELUS Mobile Broadband (CDMA EVDO REV-A) Minicard.